One of Albany Berkshire Ballet’s most celebrated productions returns for a 2019 tour, reinvented with new choreography by Paula Weber. In this magical two-act ballet telling of Shakespeare’s beloved comedy, Queen Titania and King Oberon rule over the fairies and toy with the lives of mortals as they manipulate mismatched human lovers in ecstatic dance. 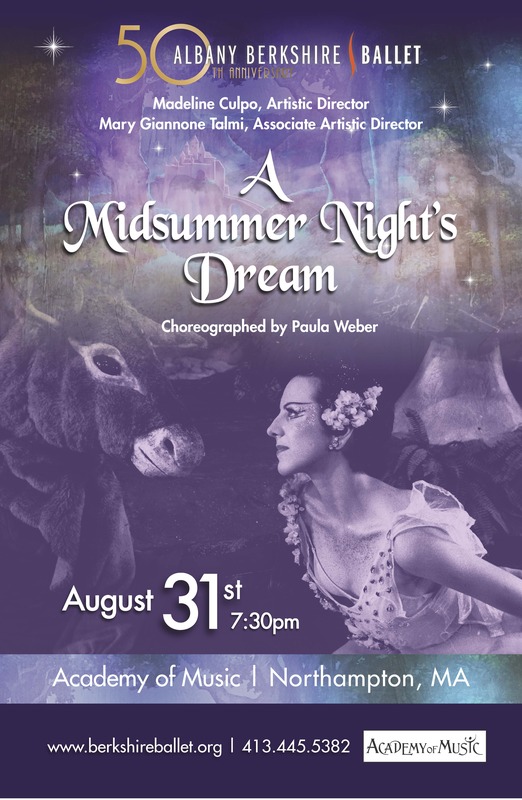 With enchanting music by Felix Mendelssohn and stunning original set art by Thurston Munson, A Midsummer Night’s Dream is sure to delight all ages and experience levels.